McLean, VA — April 30, 2018 — BackOffice Associates, the worldwide leader in information governance and data stewardship solutions, today announced the appointment of Kevin Campbell as President, Global Consulting and Services Delivery. Reporting to CEO David Booth, Campbell will oversee the company’s global services delivery team operations including spearheading the rollout of new solutions to further expand and strengthen BackOffice’s world-class consulting services organization. “We are thrilled to have Kevin join our leadership team and know he will have an immediate impact on our clients’ experiences as we continue to extend our business globally,” said Booth. 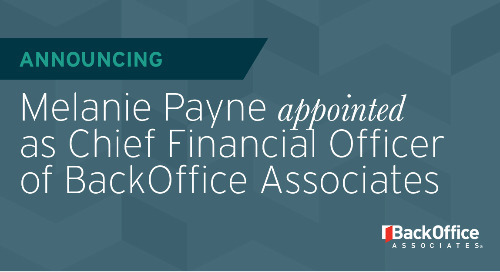 Prior to joining BackOffice Associates, Campbell recently held the position of COO for Oscar Insurance Corporation and oversaw company growth as it scaled from 40,000 to over 170,000 members. Before this role, Campbell served as Co-COO at Bridgewater Associates. Campbell also held multiple executive leadership roles at Accenture, including Group Chief Executive Officer of the company’s $2 billion BPO business; Chief Executive of its $9 billion outsourcing business; and Group Chief Executive of a combined unit, including global systems building and outsourcing a $20 billion unit, where he also managed Accenture’s technology consulting, labs and software groups. During this time, Campbell oversaw a team that redeveloped Accenture’s service offerings to address the changing services market buyer values. It included a significant increase in the use of global delivery and the integration of management and technology consulting skills with systems integration and outsourcing services. In addition to his management responsibilities, Campbell also served as lead client executive at Dupont, Raytheon and many other clients. “I had the pleasure of working side by side with Kevin for many years at Accenture. He is a rare combination of talent whose leadership and client experience in services will position BackOffice Associates for continued accelerated growth,” said Bill Green, Chairman of BackOffice Associates and former CEO and Chairman of Accenture.